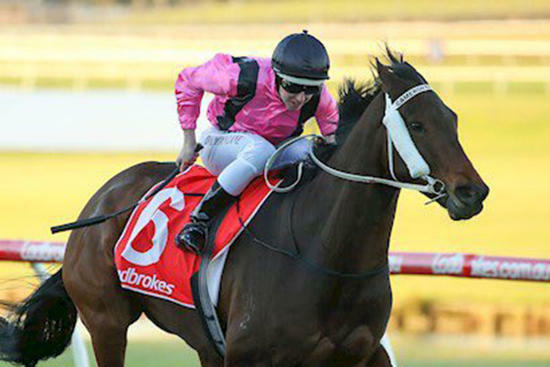 I Boogi put a disappointing last start behind him with a dominant win at Sandown on Wednesday. Having started well, Damian Lane parked I Boogi just behind the speed to the home turn on the Lakeside course. Lane asked I Boogi to quicken into the home straight and he went clear, staying on strongly all the way to the line to win the Ladbrokes Odds Boost Handicap (1600m) by 1 ¾-lengths. Co-trainer Scott Cameron said a better start was the winning difference. “I think he had a bit of think in behind them last start so we intended to be a bit more forward today,” Cameron said. “Damian gave him a terrific ride today and the horse was too good. He’s a horse you have to kid into thinking he’s going better than what he really is and it worked out perfectly today. “I have to admit he disappointed me his last two starts but the give in the track helped him today and we saw what he’s capable off. Lane said I Boogi began a lot cleaner in the race today. “He travelled well after getting a dig out and he was a bit keen for a little while there before he relaxed for me,” Lane said. “He still hasn’t worked it all out – he still didn’t quite kill the race off and was reserving a bit there. “We’ve been saying it for a while now but he’s a big kid and one day he’s going to put it all together and show he’s a good horse.